Here is an fun geeky clock, which is bound to look great in any geeks apartment, the Dry Erase Wall Clock. The Dry Erase Wall Clock doesn’t feature any numbers on it, just dots where you can write a message next to the time slot to remind yourself what you are supposed to be doing at any time of the day. 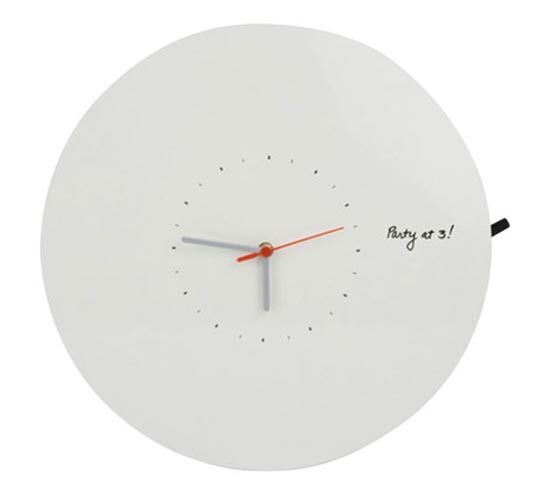 If you want one of these fun Dry Erase Wall Clock’s they are available for $135 from Moma Store.